Them’s fightin’ words and should be applauded…if they have any substance. 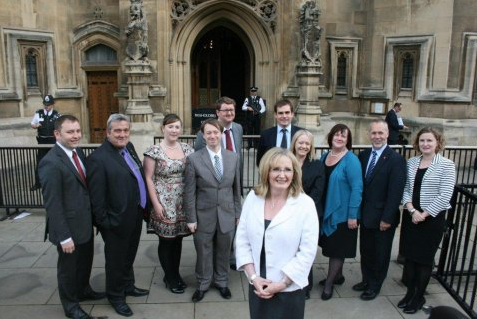 But what has this “powerful team of talented Scottish MPs” done in the two months since? The silence has been deafening. Press coverage has been zero. Examine Hansard all you want for any of the team taking the fight to Cameron—let alone Salmond—on key issues that affect us. There are speeches and a welter of questions. But hardly any of them bear on Scotland. Little wonder then that the Scottish press has not seen fit to print even one story about their exploits since this piece of gesture politics was announced on October 11th, four days after Ms Curran’s own appointment. That she should hit the PR ground running was expected; but that she would have nothing to offer her team by way of direction beggars belief—except for those used to the shallow, substance-free bluster that seems to pass for policy in Scottish Labour these days. Her web site carries one news item since her appointment. In all that time, she has posed 13 written and 2 oral questions to the UK Parliament but has yet to make any speech at all in her new role. Willie Bain has at least been on his feet a few times, even if most of them were not Scotland-related. Tom Harris has a better record alone than her whole team together…but then he hasn’t gone native.